Jason Mraz joins Jackson Browne, Bonnie Raitt along with Joel Rafael, and the late John Trudell’s band Bad Dog for a benefit concert on Sunday, November 27 for the Standing Rock Sioux Tribe. The concert is free for the Standing Rock community and Water Protectors. Next week, cards will be distributed to the Water Protectors in the camps and Standing Rock community that can be exchanged for complimentary tickets at the Casino box office. All gross proceeds from the concert public ticket sales will benefit the Standing Rock Sioux Tribe in their efforts to halt the Dakota Access Pipeline and prepare the camps for winter. “Just as we give thanks for our good fortune and the bounty of our lives as Americans, let us thank the Native people who are gathered here at Standing Rock to protect the natural world and defend our place in it,” said Jackson Browne. “I’m proud to be standing in support of the courageous and dedicated Water Protectors at Standing Rock. This movement is growing by the day with solidarity actions happening around the country, yet the media isn’t covering it nearly enough. Our hope is that this concert will help bring more awareness and media attention to the issues being raised at Standing Rock, and to put pressure on The Obama Administration to halt construction of the Dakota Access Pipeline until protection of sacred sites is ensured,” said Bonnie Raitt. “This is a national emergency for both human rights and environmental protection. 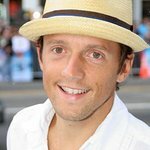 It is a call to peacefully demonstrate a need for compassion, new listening, and new technologies,” said Jason Mraz. “As the struggle for human rights continues, thousands of people have gathered on the plains of North Dakota. In a time when we all must learn to better respect and honor the Earth, the Water Protectors are leading the way. I am proud to support the Standing Rock Sioux Tribe in their effort to halt the DAPL, and I urge President Obama to do everything in his power to help accomplish that,” said Joel Rafael. For more information, and to contribute, please visit the Standing Sioux Rock Tribe websites at www.standingrock.org and www.rezpectourwater.com.